Yeehaw, giddyup and, uh, other cowboy-related terms of excitement! It’s time for the American Youth Bull Riding Finals at Sky Ute Fairgrounds in Ignacio, Colorado. I hope the little guy was OK! Oh, and the kid, too. Youth bull riders from around the nation will gather Nov. 21-24 in Southwest Colorado for the rodeo, which will include six standard performances as well as three Go-Rounds and a Top Ten Short Go-Round. Events include wooly riding (sheep riding! 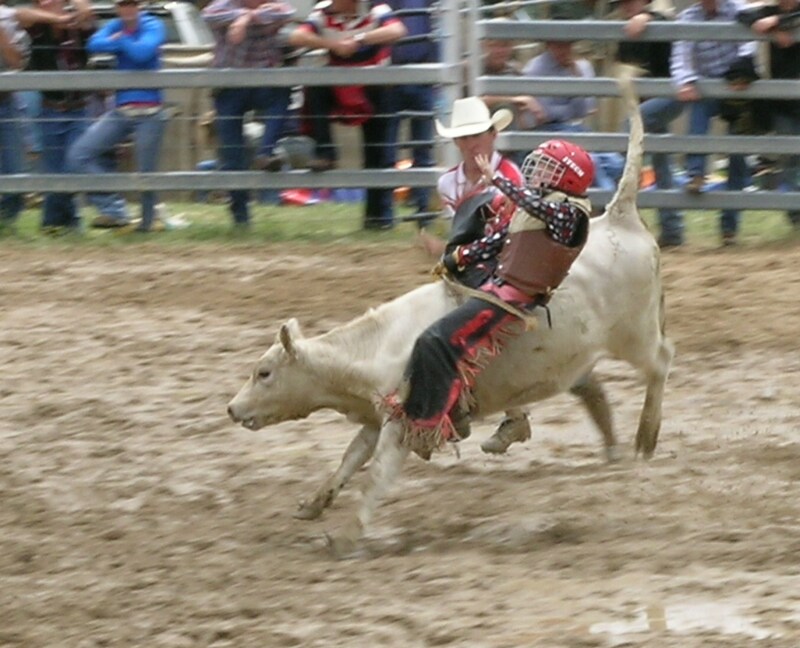 ), calf riding, steer riding, pee wee bull riding, junior bull riding, and senior bull riding. There will be two performances per day beginning Nov. 21. If you’ll be competing in the American Youth Bull Riding Finals this month, book your room now at the Durango Quality Inn. Our hotel in the heart of Durango is a quick, 30-minute drive to the Sky Ute Fairgrounds in Ignacio. If you just want to catch some cowboy-rodeo-bull-riding action, weekend passes and daily gate passes will be available at the fairgrounds.